If you love stickers, you are not alone. We do, too. And, sometimes, do you buy stickers on a whim? Yeah. We do, too. 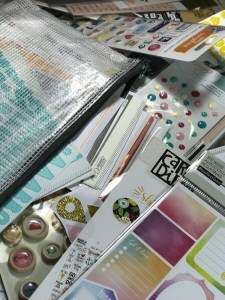 Do you ever feel like you have more planning supplies than you could ever use? Yes. We feel you. And, what’s more, we think that’s terrific! More stickers, more options, as we always say! 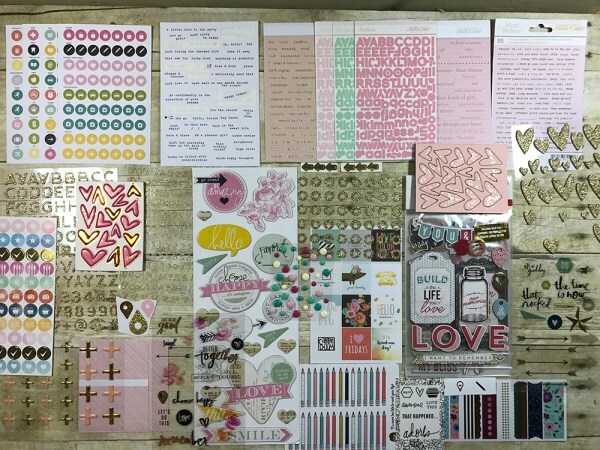 But trouble may sometimes emerge when we, who love planners and stickers and washi and all the wonderful, glittery, bits that are a part of the magical world of personal organization, may sometimes hoard our stickers instead of letting them out into the world to do good. 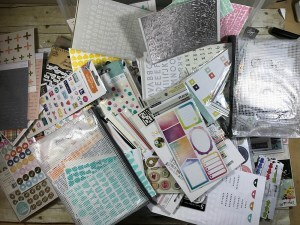 In other words, sticker collections become problematic when, instead of giving us more options for setting up our planners and calendars, these collections just become boxes and pouches and bags of stuff that inhibits our efforts to find what we need and so, of course, we go out and buy more stickers, which only compounds the problem. 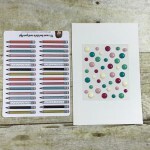 So, our very own Sarah Innerst-Peterson, co-owner of Finders Keepers, set out to create a small, coordinated collection of stickers that could be out for one month (or so) and that she would make every effort to use, use, use. 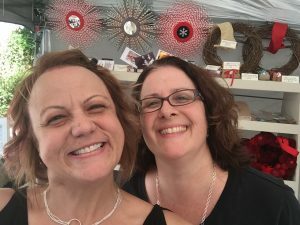 We began by pulling out Sarah’s stickers, which were being stored in different places, in boxes and pouches, and really had almost no organizational principles determining their storage. Planner Utility Stickers: these stickers are stickers that call out certain activities that you plan for, and are often in icon form, such as doctor appointments, workout times and housekeeping days. Alphabet Stickers: these stickers are, obviously, stickers that are letters of the alphabet. 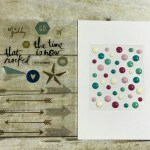 Dimensional Stickers: these stickers are made of material that gives them depth, like chipboard, cardstock and candy dots. 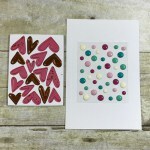 They are primarily used for papercrafting, rather than plannering. Words and Phrases: we could have grouped these with the alphabet stickers, but chose not to because Sarah just has so darn many of each of these! 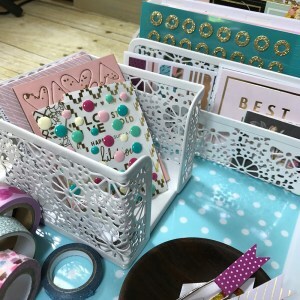 Decorative Stickers: these are often planner stickers, but are more like embellishments (flowers, geometric patterns and so forth). Whew! We were off to a great start, but now, instead of one huge pile, we had 5 really big piles of stickers. And these stickers, although each pretty and useful in its own right, were also really clashing with each other. Plus, we had some seasonal stickers that will be great for holidays later this year, but serve little purpose now. 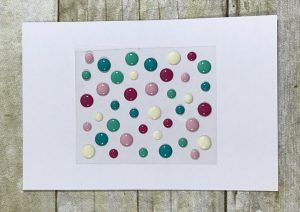 And we were in luck, because, as we sorted, Sarah found a small, maybe 3″x4″, sheet of candy dots in some really pretty blues and pinks. She felt drawn to it, so we decided to use that sheet as our inspiration for this month’s sticker collection. So we were able to narrow it down even further! 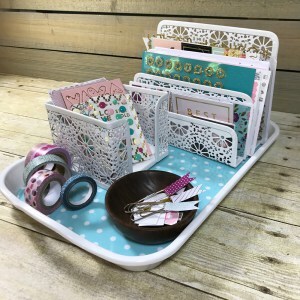 In the end, we took a tray that we got from Daiso for $1.50 and an office desk set from Amazon (below), added in some coordinating washi and a few paperclips and here is what will sit on Sarah’s desk this month. (We also used a little wooden bowl that was made for Sarah by her brother-in-law, Roger, that is just perfect for tiny sticker remnants and clips and such. If you have a brother-in-law who makes you little wooden bowls, this would be a terrific use for one! If not, stores like Daiso and Target and Cost Plus and this one we found on Amazon (below) will serve you well.) 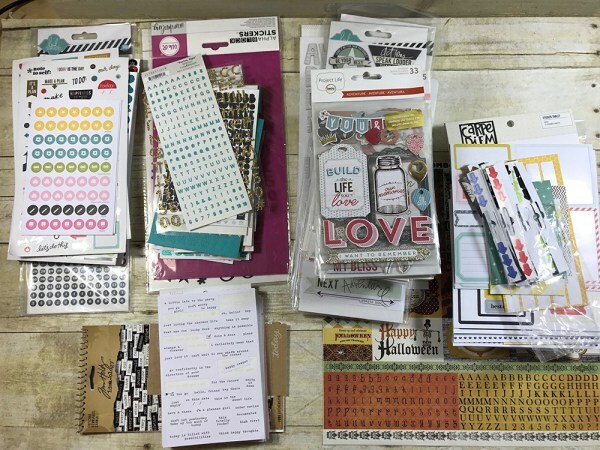 Sarah will use these stickers for plannering, calendaring and papercrafting and, when she’s used them up and sent them out into the world, she will be ready to embark on this process again. ← April’s Theme Collection: Charms!